Bankruptcy and joint bank accounts during a divorce can pose a problem during the bankruptcy process. If the couple divorces or if one spouse files for bankruptcy during divorce, things get even more complicated since many married couples have joint bank accounts that must first be untangled. Some couples file for joint bankruptcy during their marriage and others file bankruptcy during divorce. An important factor to keep in mind is that the timing of the bankruptcy filing is critical because it determines whether combined debts and property will be included in the bankruptcy. In general, when one spouse files for bankruptcy, the other is not brought into it. Depending on individual circumstances, if Chapter 7 bankruptcy is filed the creditor may go after the other spouse for payment of the joint debt. The non-filing spouse will not receive the protection provided by the automatic stay or discharge included in the bankruptcy process. If the couple holds a debt jointly and only one person files for bankruptcy, the other is not relieved of debt repayment responsibility. Filing joint bankruptcy has several benefits. The bankruptcy filing fees are the same for an individual bankruptcy or one filed jointly. A joint filing also reduces bankruptcy attorney fees. Filing for bankruptcy jointly eliminates all dischargeable debts owned jointly as well as those owned individually. Joint filings are also more efficient because they require only one set of documents and enable the spouses to attend the bankruptcy hearings together. However, joint bankruptcy is not without its shortcomings. If one of the spouses owns a substantial amount of property individually, all combined assets may not be eligible for bankruptcy exemption. When the value of combined assets exceeds the available bankruptcy exemptions, problems can arise. An expert bankruptcy attorney can help a couple determine if they are in this situation. State laws vary regarding how much creditors can garnish from joint accounts. In West Virginia, Michigan, and Ohio, creditors may be entitled to garnish the account balance. Some states protect contributions made by the non-bankrupt account holder. However, this individual must prove that he or she made the contributions, which requires detailed record-keeping by retaining deposit slips, bank statements, electronic transfer confirmations, and pay stubs. Federal and state laws determine the permitted exemptions and an attorney can provide clarification. Whether filing for bankruptcy during divorce or in a non-spousal relationship, joint account holders should learn how this will affect the finances of the other individual. Bankruptcy and joint bank accounts pose a special problem that requires expert help, caution must be taken to avoid garnishments of the other person?s money. For non-spouses who have joint accounts, a bankruptcy filing by one person will affect the other, and both account holders can be affected if creditors levy the funds in a joint account during bankruptcy. The law presumes that each individual has equal right to the funds held in the account, therefore, creditors do not need to investigate which person contributed the money. A non-bankrupt individual could see his or her contributions garnished to pay for the debt of the other account holder. 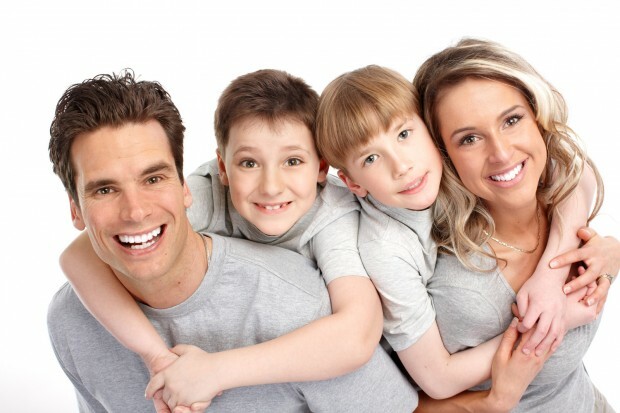 Joint bankruptcy provides the best protection for spouses with joint debt. It is more efficient and cost-effective for spouses to file for bankruptcy jointly than individually. However, state community property laws may override the need to file for bankruptcy jointly and some spouses are not entitled to file jointly if they jointly own property that is valued above the federal exemption level. Spouses who live in community property states have an equal legal share of almost all property and debts acquired during a marriage. If the couple has a joint bank account, a creditor can garnish this asset for debt. This means that the spouse who is not the debtor may be forced to repay the money owed. In states that follow tenancy by the entireties, a creditor may not garnish a joint account without obtaining a judgment against the non-bankrupt spouse. If the couple co-owns property, it may be included in the bankruptcy estate and used to repay creditors. For example, both halves of community property are included in the bankruptcy estate within community property jurisdictions like California so all of the property may be used to repay creditors of the spouse who filed bankruptcy. When a joint consumer debt will be completely repaid through a Chapter 13 repayment plan, the spouse who is a co-debtor is protected by the co-debtor stay provision. In a common law property state, each spouse is responsible for his or her debt. However, if the couple has a joint bank account and the debt is not owned under tenants by the entirety, the creditor may be able to garnish up to half of the account balance. Tenancy by the entirety provides each spouse with full rights to the property of the other, though asset ownership does not change. Some couples file for bankruptcy during divorce in an attempt to reduce their debt before parting ways. Before completing any bankruptcy paperwork, spouses planning to divorce should understand how different types of debt are handled through bankruptcy. Debt held jointly by the couple may not be dismissed through bankruptcy depending on how the bankruptcy filing is made. For spouses with a substantial amount of joint debt, filing for joint bankruptcy before divorcing is usually recommended. Joint debts are those held by both spouses rather than individually owned. When a joint bankruptcy is filed, the couple must disclose all property owned jointly or individually. All of this property is included in the joint bankruptcy. Some states allow the use of federal bankruptcy exemptions and let joint bankruptcy filers double the amount of these exemptions. If one spouse has a substantial amount of priority debts such as domestic support obligations, joint bankruptcy may not be the best option. These debts must be repaid in full when filing Chapter 13 bankruptcy jointly. This could substantially increase repayment plan installments and if income does not make this affordable, individual bankruptcy may be the better choice. Married couples may file for bankruptcy jointly and a bankruptcy attorney can help them decide whether this is the best approach. With joint bankruptcy, the couple files a joint petition and financial schedule but each person retains a separate bankruptcy estate, which may be consolidated. Married couples can file for bankruptcy together using a single petition. When considering whether to do this, the couple should identify which debts they are trying to eliminate. A joint bankruptcy wipes out all dischargeable debts owed by the couple. If spouses wait until they are divorced, they cannot file for joint bankruptcy. If only one spouse files before or after the marriage ends, the other spouse will still be responsible for his or her debts plus joint debts. For a divorcing spouse with a lot of nonexempt property, consolidating debts may not be wise because these assets may be used to repay the creditors of the other party. Couples who are planning to divorce should consult with a bankruptcy lawyer to determine whether entering joint bankruptcy during divorce is a smart move. If they have a lot of joint debt and want to protect it, the couple can receive the most protection through a joint bankruptcy filing. However, other types of debt may render a joint filing less beneficial. When considering filing for joint bankruptcy during a marriage or thinking about bankruptcy during divorce, discuss the situation with a bankruptcy lawyer.